S&S; News: Community Video Game is Real!! If you're a fan of Community then you will be happy to learn that the video game episode that aired a few weeks ago is actually now a real game and is available for download right now. Oh, and it's free! It seems that a Community fan has taken it into his own hands to turn the beloved video game episode into a real playable experience. 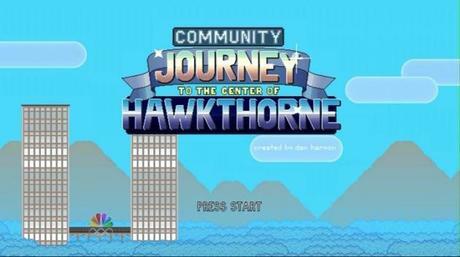 The game Community: Journey to the Center of Hawkthorne is still in early development but it's playable. You can download it here!